Police are on the hunt for a brazen thief who recently attempted to steal an ATM machine with a construction backhoe in Prince George’s County. The failed heist was caught on closed circuit television cameras stationed on the exterior of a Capital Heights bank, and the footage was later handed over to police. The video shows an unidentified person riding up to the bank parking lot aboard a tractor, which investigators determined was driven several miles on public roads to reach the scene of the crime. 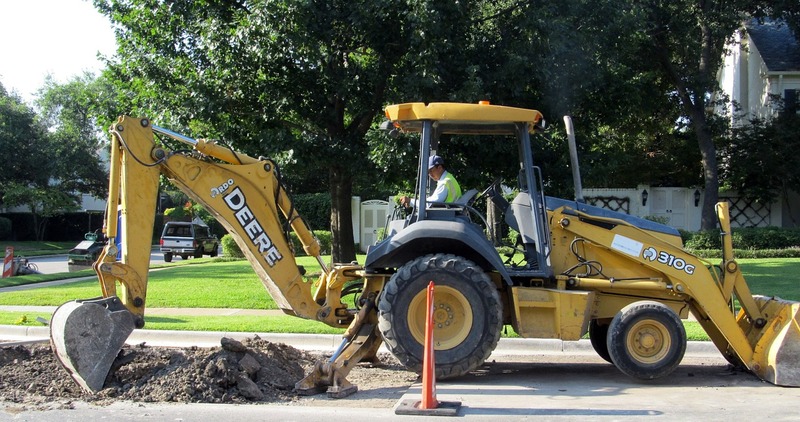 Upon arriving, the suspect positioned the excavating equipment for maximum destruction and repeatedly used its backhoe to strike the unsuspecting cash machine. Sparks and pieces of plastic flew, and after a minute or so the cash machine was unrecognizable. Fortunately though the ATM’s thick armor proved too strong for the backhoe to penetrate, and the suspect fled the scene with no extra cash in hand. In the valiant effort to retain all its legal tender, the ATM did suffer an estimated $10,000 worth of damages. Prince George’s County police detectives have reason to believe this theft was related to a prior successful ATM theft at a tobacco shop, where the perpetrator gained entry through the roof. In addition to stealing cash the unidentified perp also made out with hundreds of cartons of cigarettes. It is unclear why detectives believe the two unorthodox crimes are related, or whether they have any legitimate leads on a possible suspect. If a suspect happens to be apprehended then he or she will face a slew of charges in the district and circuit courts in Hyattsville and Upper Marlboro. In the backhoe case the suspect would likely be charged with motor vehicle theft, trespass and malicious destruction of property. The particular theft charge filed in this case would depend on the amount of cash inside the ATM. Police would have the bank open the machine and total up the value of the bills, and any amount over $1,000 would trigger a felony theft charge. Prosecutors could even add the value of the machine itself, which would surely escalate the charge to a theft $10,000 to $100,000. If police crack the tobacco shop case the defendant would face similar charges to the ATM case, with the addition of felony burglary counts. The act of breaking into a store with the intent to steal something would generally trigger a charge of second degree burglary that carries a maximum jail sentence of 15 years. If a burglar steals a firearm the punishment could increase to a maximum 20 years, which is the same penalty as a first degree home burglary. The Blog will continue to follow this case to see if police develop any leads that could produce a suspect. Investigators may have a tough time unless the thief left any physical evidence behind such as personal belongings or perhaps DNA and fingerprints. Police did not release the entire video to the public, including the part where the suspect fled so there may already be some leads. We will post another article if police catch a break and end up making an arrest. Benjamin Herbst handles burglary, theft and malicious destruction of property cases in all Maryland courts. 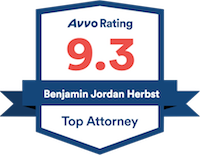 If you have a case or a question feel free to call Benjamin anytime to discuss. Man stole construction equipment in bid to loot ATM, police said, washingtonpost.com.